I am sure that everyone that owns some sort of miner, especially the Bitmain Miner are fed up with the amount of noise the fans make. Even when enclosed in sound boxes, put in the attic or a basement you can still hear the fan like a constant distant drone, for ever in the back of your mind even when asleep. 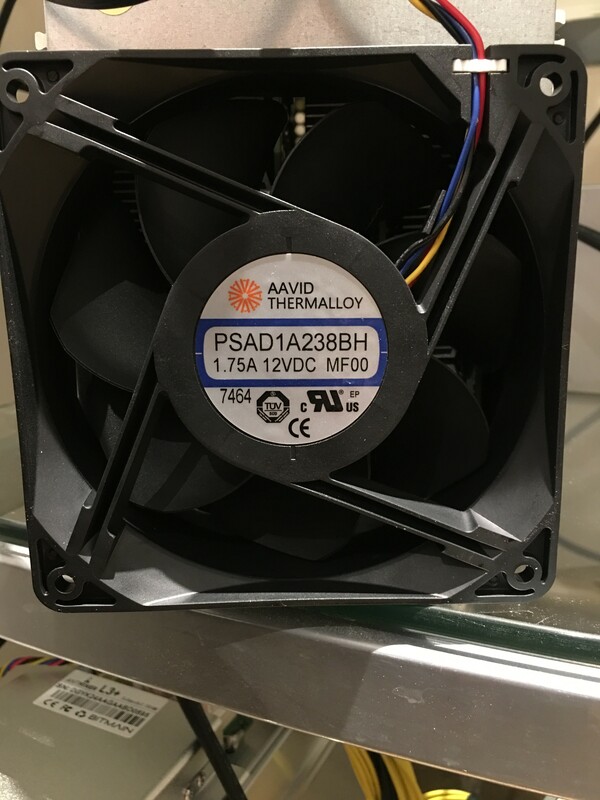 One of the things we can do is change the fans. If you read my review on the A4 Dominator you can see that changing a fan is quick and easy way to get some good results for little effort. 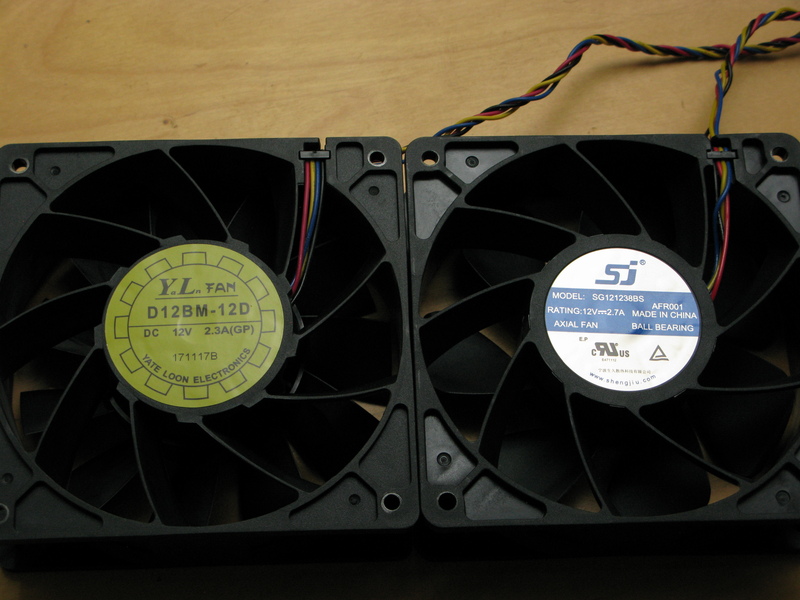 Lets look at the stock fans I have seen so far with a table for the fan specs. This is ongoing as I discover new models, feel free to add details of your miner below if I don’t have it listed.